I7 is #1 recommended Best web designing training institute in Chennai offering basic to advanced level training to boost your skills in various areas of website designing. Call +91 82209 79379; We also offer job placement assistance for freshers and job seekers. Call +91 82209 79379 for course content and more details. Get started today to make your mark in website designing near Chennai! With Web Design Training Course, gain in-demand skills about the latest technologies to grab your dream job or build your own start-up and reach great heights! Join us to getstart your career!! Web designing is an art of covering the entire look and feel of a website and its structure. It is the planning and building of web pages on the World Wide Web and presenting it to the audience, i.e., the viewers. Maximum online presence is the ultimate goal of any web design! Designing is everything to do with Web! Here, at Web Designing Training Course, we offer fast-track courses; Professional Courses & Career based advanced training courses in the field of web design. Web design training helps in creating your own websites, editing and modifying it for an ultimate reader-experience. With the help of WP CMS, you can build any kind of website and publish it with customize themes, images, graphics, posts, and all sorts of media by the use of built-in Plug-in and other resources. We have gained years of expertise in training and placement, as we offer a variety of web designing course that help aspirants to redefine their career! Our Web Designing Course in Chennai is offered by industry experts who have real time experience in Web Design! This course of study will help you start your career in IT. You can create your own part time or full time job and earn huge revenue by getting trained from Web Designing Training Course as we are no.1 recommended web design institute in Chennai for the best fees and job support. Designing a website is all about creating web pages for running online businesses that help in building a connection between the business and the customers in a way to interact as well as entertain. It is being produced to meet and solve the daily challenges faced in promoting products and services. And, our web design training course Chennai, will help you get real-time learning on live projects that help you become an expert web designer. In simple, web designing is the process of planning, creating and modifying websites by collecting innovative ideas and arranging them aesthetically. Presenting the creative content on electronic web pages which the end-user can access it via web browsers will form the concept of website design. Every brand in the market requires a strong online presence to maximize their exposure globally all around the world which can be achieved through website design. Best Web designers have a promising career option in the IT industry as the future is only on the web. Internet has become an absolute part of day to day life for all businesses and the experts with website designing skills are in great demand. In order to produce design layout with tremendous designs, website creation training is very essential. Our web design training institute in Coimbatore offers affordable courses in and near Chennai, that help the aspirants to gain deep knowledge about the latest trends and techniques involved on the web designing field and learn the best practices to mark their signature on the web. Why learn Web Design Training from i7 Academy? i7 is one of the best web designing training institutes in Chennai has the best fee structure and up-to-date syllabus that competes with the current industry leaders. Our web design training syllabus is perfect for all those who wants to learn from the scratch and get a web designing certification to get into an IT job. The web designing course fees is tailor-made for batch training and individual training which are based on unique requirements of the candidates for weekday, weekend or fast track batches. So, if you are looking for the best web designing training in Chennai along with assured job placement, it’s time to join i7! Leading Web design company – One of the leading web design company in Coimbatore, Chennai & Bangalore, ( Services in Chennai), provides Digital marketing, SEO and Web design services. eBooks / Library Videos – Exclusive reference material for our students (only for selected courses). Job portal – We have an exclusive job portal for training students, where we post all the openings from the industry & our students can apply directly using their login ID. Student Assessment – We conduct regular assessment of Students works to understand their progress. Check our student works here to know our training standards. Dedicated Placement Cell – It takes care of everything related to placement like Creating a good resume, Sharing interview tips, Conducting mock-up interviews, Scheduling interviews etc. Check our placement record here. Saturday events – We conduct a seminar / contest / workshop every Saturday to increase the all-round knowledge of our students. Check our recent events here. Portfolio Development – An excellent final project helps in securing a good job, & we provide our fullest support to the students in developing a fine portfolio. Excellent Experience – We strive for excellence in everything we do & want all our students to have a delightful experience studying with us. Joomla training Course is a free open source award winning CMS (Content Management System) that helps you build complex websites and powerful web applications by keeping track of images, text, data, music, videos, documents and much more. It is one of the popular user-friendly CMS that is used worldwide to build and maintain websites effectively. Because of its amazing features and powerful applications it is very easy for the developers to virtually create websites and take it to the next level. Our Joomla training institute in Coimbatore provides easy and flexible approach to learn the course efficiently. We have experts to teach all that required to manage a website such as creation and access, gallery management and exposure to other built-in features and extensions for extensive learning. i7 is one of the best training centers Chennai offering crash course on CMS platforms and help candidates learn virtually about the installation, administration and the key features of using Joomla. If you are in need to learn the best content management system, then join here to learn and use the most of it to gain extensive knowledge. Joomla Training is a 12 hours course for anyone who knows basic knowledge about internet. You can create powerful dynamic website without knowing programming or graphic design. WordPress training (WP) is an open-source, free blogging software tool and is one of the best Content Management System (CMS) that works with the help of PHP and MySQL for meeting the growing needs of blogs. WordPress Web design training course in Chennai helps in creating your own websites, editing and modifying it for an ultimate reader-experience. With the help of WP CMS, you can build any kind of website and publish it with customize themes, images, graphics, posts, and all sorts of media by the use of built-in Plug-in and other resources. i7 Academy offers WordPress Training in Coimbatore (Web design Course Chennai ) in order to help you learn the basics of setting up blogs and websites, designing the site by choosing right themes, publishing it attractive and informative for the maximum global exposure. i7 Academy is the best WordPress training institute in Coimbatore, we train to developers with basics on building sites, tips for proper coding, exposure to the latest tools that are used for debugging and troubleshooting and many more. We have a customized module that helps insist better learning for each and every candidate. Sriwebeo‘s i7 Academy providing in-depth training on PHP training in Coimbatore | Chennai along with MySQL database. 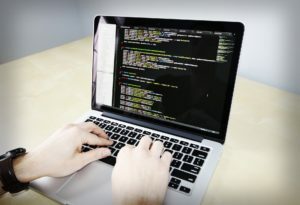 PHP is one of the most powerful programming languages designed for web development involving complex functionalities for dynamic web application like discussion forums, business portals, e-commerce site etc., Though PHP is primarily used to create web applications, PHP can be used to create desktop applications as well. Applications built on PHP run on Web server like Apache, but PHP can be modified to run on Microsoft IIS server too. Corporates, SMEs, Educational institutions and other organizations who want to manage their website on their own. College Students and Job seekers who seeks career in programming, design or digital marketing. Marketing professionals and Designers for career development. Individuals who want to run home based Web Hosting Web Design business. Eligibility: Basic knowledge about internet. Web design training in Chennai helps in creating your websites, modifying it for an ultimate user-experience. SEO training in Chennai is the process of improving the visibility of your websites in SERP search results. Digital Marketing Course in Chennai will help you to become a successful digital marketer with on-demand skills. Looking for a Web design Course fees in Chennai! Digital marketing is a popular term that includes products or brands promotion. We are here to Provide a Professional Training and Placement assistance to get engage with Digital Marketing. Register Now and avail the #Discount! !